Various Mornings (low tides). Haystack Rock Awareness Program. Weather and tide permitting, staffers can be found on the beach throughout the year and on most low-tide mornings. Bird stations and spotting scopes, display tanks with microscopes, brochures and naturalists/interpreters. On the beach, by Haystack Rock. Cannon Beach, Oregon. (503) 436-8060. Every Day: Seaside Aquarium. Open every day of the week. Feed seals, see all manner of sea life. Seaside Aquarium. Seaside, Oregon. www.seasideaquarium.com 503-738-6211. Every Wednesday. Seaside Farmer’s Market. Shop for weekly groceries or just to sample fresh, local foods at the weekly Seaside Farmer’s Market. 3 p.m. The market is held in the Broadway Middle School parking lot, conveniently located just off Highway 101. 1120 Broadway St. Seaside, Oregon. sunsetempire.com. (503) 738-3311. http://www.seasidemarket.org. April 25. D.B. Cooper & the Exploding Whale: Folk Heroes of the Northwest. Oregon and Oregon coast author Bill Sullivan is an acclaimed author, historian and adventurer who has an uncanny way of discovering history that even the experts didn’t know. Tour of legendary Northwest folk heroes from Sacajawea and D.B. Cooper to Bigfoot. Expect entertaining and educational tales about the historical figures that helped define the spirit of the Pacific Northwest - as told by the author of the thriller, “The Case of D.B. Cooper’s Parachute.” 4 p.m. Free. Cannon Beach History Museum. 1387 S. Spruce St. Cannon Beach, Oregon. 503-436-9301. May 4. The Ripple Effect: Plastic Marine Debris Mandalas with artist Shelby Silver. A workshop designed to demonstrate the environmental impact of marine plastics on our oceans to a young audience, that provides immediate and direct ability to make a difference as young stewards of a planet children will one day inherit. For years’ plastic, has been making its way to the oceans via our waterways and purposeful and accidental dumping. 10 a.m. $35. 163 E Gower Ave, Classroom, Cannon Beach, Oregon. (971) 361-9308. May 10 – 12. North Coast Culinary Fest. "A Celebration of James Beard in Cannon Beach." May 10: Various chefs will be creating menus inspired by the legacy of James Beard. May 11: Workshops at local eateries. James Beard Beach House Champagne Reception. James Beard Celebration Dinner, with wine pairings. North Coast Culinary Fest Night Market. May 12: Brunch Around Town, and the movie "Americas First Foodie." Tickets: $15 - $150. Cannon Beach, Oregon. Cannonbeach.org. May 16. Sir Francis Drake and the Golden Hind. Did he land in Depoe Bay? There are many questions about Sir Francis Drake and how far north he really came. Melissa Darby will endeavor to unravel the mysteries and misinformation surrounding Sir Francis Drake and his famous circumnavigation of the world. 4 p.m. Free. Cannon Beach History Center & Museum. Cannon Beach, Oregon. May 17. Cannon Beach Fat Bike Festival. First Fat Bike Festival on the Oregon Coast! Events planned throughout the weekend include sunset beach ride and bonfire with Fat Bike games and activities, a Saturday poker ride and after party at local pub. Cannon Beach Chamber, Cannon Beach, Oregon. Cannonbeach.org. June 7 – 9. 55th Annual Cannon Beach Sandcastle Contest. Sandcastle-building takes place on June 8, 12:30 p.m. Dozens of teams of professional sand sculpture artists, amateur groups and families will construct remarkable creations in the sand during the event. The Masters division teams compete for cash prizes and construct large, elaborate creations often utilizing construction forms similar to those used for pouring concrete in order to accomplish their monumental size. Although the contest on Saturday is the highlight of the weekend, visitors will find plenty of other activities to keep them busy. Cannon Beach, Oregon. 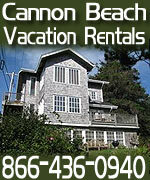 (503) 436-2623. cannonbeach.org. May 19. In Their Footsteps Speaker Series. Speakers and topics change each month. Visitor Center Netul River Room. 1 p.m. Lewis and Clark National Historical Park. Fort Clatsop. 92343 Fort Clatsop Road. 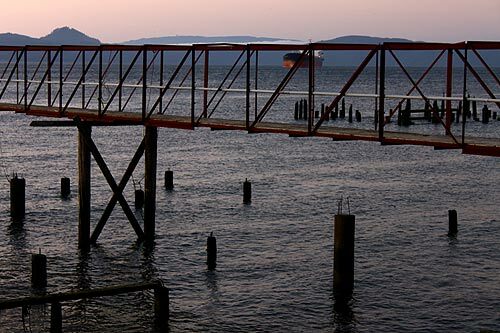 Astoria, Oregon. http:// www.nps.gov/lewi.